Dame Laura Davies, a four-time major champion, is set to become the first woman in golfing history to participate in an event on the men's European Senior Tour. 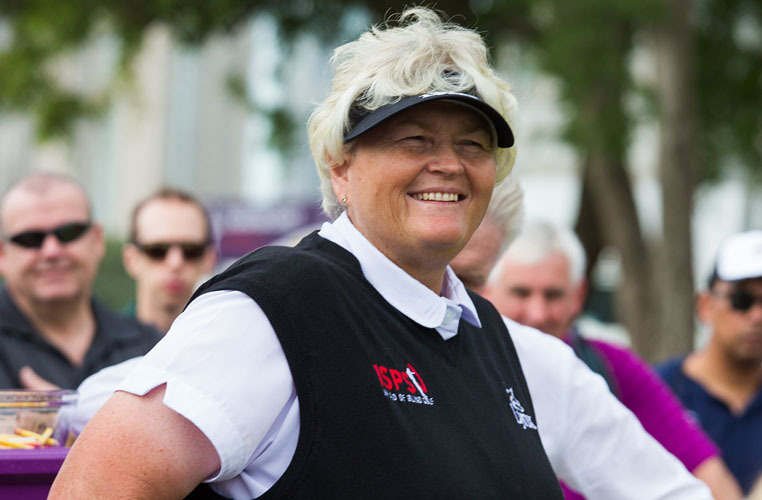 Next week, Davies will be teeing up alongside her male counterparts in the Shipco Masters promoted by Simon’s Golf Club in Denmark, an official event on the European Senior Tour schedule. Davies shared with LPGA.com that she has felt for some time that mixed golf can only be good for the game and she hopes to see more mixed events moving forward. "I am excited at the prospect of competing with the senior men in Denmark at the Shipco Masters at Simon's Golf Club and I feel it will be fun,” said Davies. Davies is no stranger when it comes to competing against the men, having played with Arnold Palmer in an event hosted by Fred Couples. Davies admitted that playing with Palmer was the scariest experience of her life. While this will not be her first time teeing it up against the men, this will be her first event competing on the European Senior Tour. The former Rolex Rankings world No. 1 said she’s not expecting too much, but that she’s looking forward to the experience.